Looking for the perfect OBX souvenir? 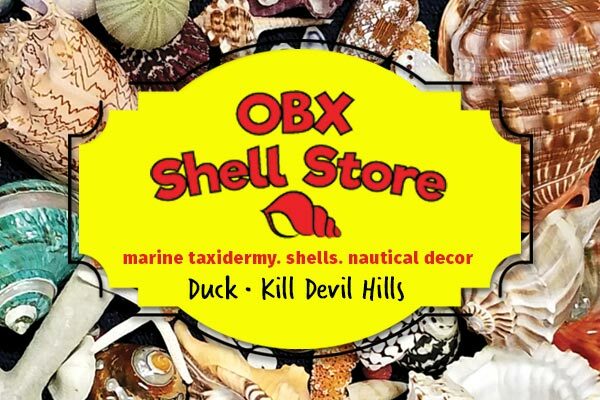 Look no further than the OBX Shell Store! Our friendly staff is here to help you navigate our wide range of wares, including shells, starfish, fiberglass fish, beach trinkets, gifts, Christmas ornaments and even some items you might not expect! Have a specific shell in mind for an art project? OBX Shell Store has every shape, size and color shell you could imagine. Bring a piece of nature home with you and live your Outer Banks Vacation over and over again with a souvenir shell necklace, seashell craft or various seashell decorations for your home. Our seashell ornaments come in a variety of sizes and styles, so you're sure to find the perfect one for your home! We also offer cute beach- and nautical-themed signs, windchimes and decor that are great additions to any home.